We are excited to announce the release of our second full album, The Ride! Including our single, “Johnny”, The Ride contains twelve new original rock songs. It was released on January 26, 2019. Written, recorded and produced by Chronic Vitality, the new album combines old school rock and roll with hard/alternative rock. Along with Chronic Vitality members Michael Mann, Kentin Cantwell, Garrett Mann and Aryien “The Professor” Shapiro, the album features our good friends, Steven Rose (trumpet) and Ron Louie (trombone), in “Renegade Without A Fight” and the sensational Bunny Nash (vocals) in “Lonely”. The Ride was recorded at SAE Expression College (Emeryville, CA), DogBark Studios (Pinole, CA) and CV Headquarters (Pinole, CA). It was mixed by CV lead guitarist Aryien “The Professor” Shapiro and mastered by Blake La Grange from Mercury Mastering in Oceanside, CA. All lyrics were written by CV’s Michael Mann. Esteemed graphic designer, Sam Graham, designed the album artwork. 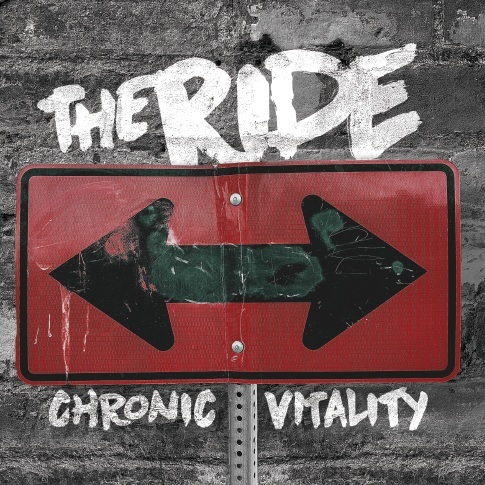 In conjunction with the release of The Ride, Chronic Vitality will be performing an Album Release Show at Vinnie’s Bar & Grill in Concord, CA, that same night, January 26, 2019! Junkyard Triumph, a rock band from the East San Francisco Bay Area, will be opening the show. The show will begin at 8PM. Click here for old Chronic Vitality news!